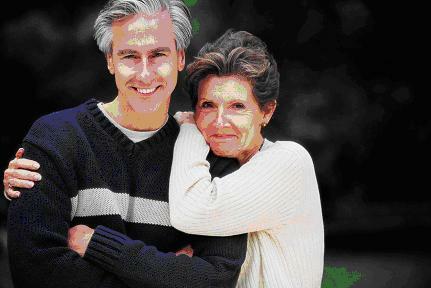 In retirement, top priorities are often estate planning, protecting investments and traveling. But large monthly home payments, high interest rates, foreclosures, home repairs and medical expenses can make doing those things difficult. A solution to finance retirement, no matter one’s circumstances, may be a reverse mortgage. A mortgage with special terms for homeowners 62 and older, a reverse mortgage has no income or credit score qualifications, and no monthly payment requirements, which offer many advantages for senior homeowners. Recently, I worked with a couple in their 70s that needed some additional funds for home repairs, including a new energy efficient furnace. Anticipating future medical expenses, they liked that through a reverse mortgage they could get money for their immediate needs, eliminate their mortgage payment and still have funds for their future needs with a growing line of credit. In a reverse mortgage, a homeowner still owns their home. Those who enter a reverse mortgage continue to be responsible for their taxes, homeowners insurance and maintenance of the property. In a standard mortgage, homeowners have access to cash from the equity of their home, and also, when the home is sold any remaining equity goes to them or their estate. In a reverse mortgage, residents also can borrow cash from the equity of their home, and often at interest rates lower than they would qualify for on a regular loan. They do not have to repay that loan until the home is no longer their primary residence. When the resident is no longer living in the home, if there is any remaining equity, they will receive it just as in a standard mortgage. But if their loan balance is higher than the home can be sold for, there is no liability to them or their estate as long as they do not retain ownership of the home. Generally, funds received through a reverse mortgage are considered tax-free (one should consult a tax advisor for their individual situation). Social Security and Medicare are also not affected and Medical Assistance and other public benefits can still be received. A single woman I worked with appreciated that the reverse mortgage was explained to her and her children so they could all understand the details. With no restrictions on how the funds are used, after doing the reverse mortgage she got new windows and siding as well as took a vacation with her daughter. Another couple I recently helped used their reverse mortgage to pay off their current mortgage and eliminate monthly payments. Not having to make payments, the husband was able to retire – a much awaited and deserved event at the age of 70. A reverse mortgage has allowed thousands of Minnesota seniors to remain in their home with security, independence dignity and control no matter what their circumstances. This entry was posted in Care Management, Foreclosure, HECM, Home Health Care, HUD, MN Reverse Mortgages, Retirement, Reverse Mortgage, Uncategorized and tagged Boomers, Caregiving, FHA, Finances, Financial Planning, HECM, Home Equity Conversion Mortgage, Home Health Care, HUD, Minnesota Reverse Mortgage, Retirement, Reverse Mortgage Benefits, Reverse Mortgages in The News, Reverse Mortgages News, Senior Finances, Senior Home Care, Senior Independence, Senior Options, Senior Real Estate, Senior Stories by Beth Paterson, CRMP. Bookmark the permalink.